A functioning land administration sector is the foundation for economic growth. Unfortunately, effective land registry and cadastral systems with national coverage exist in only a fraction of the world’s countries. 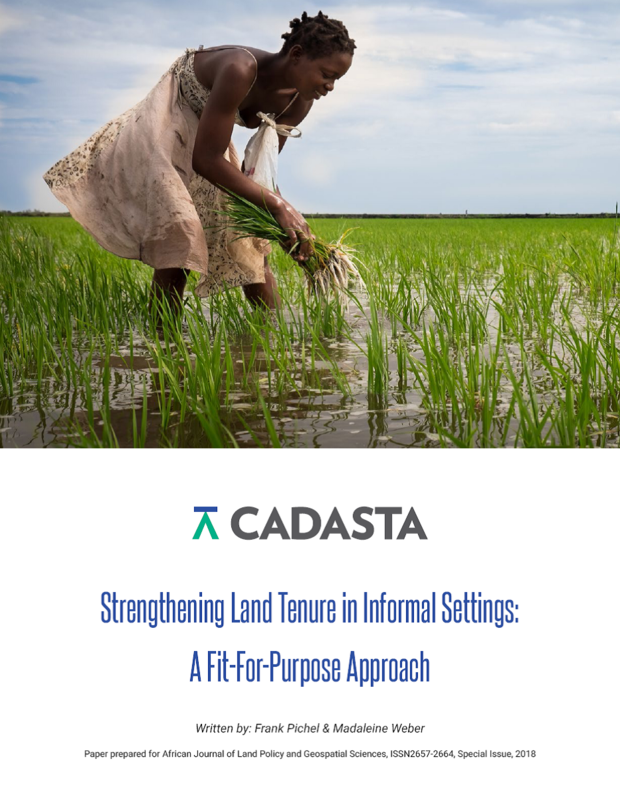 Cadasta Foundation is working to overcome this challenge by developing simple digital tools and technology to help partners efficiently document, analyze, store, and share critical land and resource rights information. By creating an accessible digital record of land, property, and resource rights, Cadasta works to empower individuals, organizations, communities, governments, and businesses with the information they need to make data-driven decisions and put vulnerable communities and their needs on the map. Cadasta Foundation is dedicated to the support, continued development and growth of the Cadasta Platform – an innovative, open source suite of tools for the collection and management of ownership, occupancy, and spatial data that meets the unique challenges of this process in much of the world.